ArtAV are able to supply a huge range of equipment either for rental or sale. We understand the specific requirements of art installations and offer highly competitive long term rental pricing. Call us on 01642 686086 for more information. We stock Barco, Christie, Panasonic, NEC, Mitsubishi, Hitachi, Optoma and Benq projectors. We’re the UK’s largest rental supplier of Uncompressed multi-channel Media Servers and Solid State Players capable of pristine playback quality. We have Blu-ray, upscaling DVD, media card and hard disk media players as well as PCs and MAC computers that can replay content. We also own an 8 channel Wings Platinum 3 show control system that is capable of the most stunning operation of multiple High definition video playback along with sound, lighting and environment control. 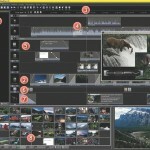 Our SyncM and PlayM software allows fully networked playback control of multiple media sources. We have loudspeakers and PA systems for all applications from the beautiful Anthony Gallo spherical loudspeakers powered with Crown, ArtAudio & Cyrus amplifiers, the new sonically stunning QSC K Series Active Speakers and subs all the way through to our 12kw line array suitable for large outdoor spaces or huge galleries. Most of our screens are custom built in our workshops and we provide screen surfaces from Harkness Hall and Rosco. Our largest “stock” screen is a 10.9m wide 16:9 Stumpfl front projection screen – Great for film presentations. Typically we hold stocks of 30+ ‘edgeless’ screens in 16:9 and 4:3 aspect ratios in a variety of sizes. ControlM is our own custom exhibition control software that allows fully automated startup, shutdown and error reporting of entire exhibitions. We are able to supply ‘cloud’ based audio and video streaming (live or pre-recorded) that can cater for upto 30,000 live viewers at very low cost. We stock a large number of Kodak SAV and the superior Kodak Ektapro projectors + control systems.